Nominations for Scholarship and Recognition Awards Now Open – UNITY, Inc. 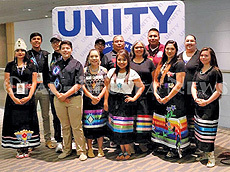 The awards will be presented on Sunday, July 8, at the 2018 National UNITY Conference Banquet in San Diego, California. The deadline for nominations is Thursday, May 31, 2018, at 5:00 PM (PST).